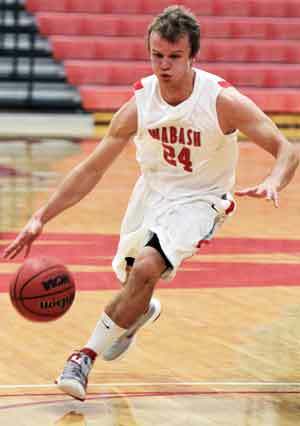 Freshman Austin Burton doesn’t seem any different from any other Wabash Basketball player. The 5-foot, 10-inch guard has played significant minutes for the Little Giants as they continue to utilize the young players on their roster to fill holes I left by last year’s graduating class. Burton has even started a game. What makes Burton unique, however, is that the home games take place in his hometown. Burton is a 2012 graduate of Southmont High School and has grown up playing the game of basketball in and around Crawfordsville. 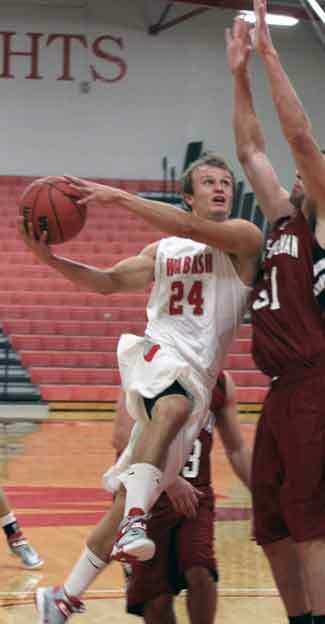 Burton, who began playing basketball for his school in fifth grade, has always had the desire to compete and saw he would have an opportunity to do so at Wabash. And while some may think that staying so close to home would affect his college experience, Burton disagrees. Despite beginning the season a week later than his teammates due to football, Burton stepped in and began making contributions almost immediately. In only his second game as a Little Giant Burton logged 18 minutes and scored five points. These efforts did not go unnoticed by Coach Antione Carpenter. Like all freshmen, Burton has had to go through the struggles of his first semester. Burton, who plans on being a biology major, has done “decently well” in his classes, which include the always-tough Biology 111. While Bio 111 has received a reputation as one of the more difficult classes at Wabash, Burton said it’s not impossible. Burton is also considering a psychology or religion minor. While Burton has had to make the transition from high school to college in the classroom, he has had to do the same on the basketball court.